Did you know? There is an amazing barber shop located on the Mezzanine level of the Stamford Marriott Hotel & Spa. And, this week, you can get a haircut and some holiday cheer. Pass the Hotel on your way to and from work while traveling on I-95? Stop in and see master stylist Anthony Rizzi, owner of the Hotel's Federal Hairstylists I. An added bonus this week - a cocktail. "This week is extra special because they are giving complimentary beverages to their customers to celebrate the holidays! 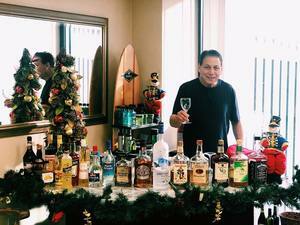 Be sure to stop by for a haircut and a drink!" the Hotel explains. The Hotel barber shop is open every Monday, Tuesday, Thursday and Friday 8:00am-5:00pm and Saturday 8:00am-2:00pm. To make an appointment, just give them a call at 203-348-4576 or stop by during open business hours. The Stamford Advocate recently featured a story on Rizzi family who work together at Federal Hairstylists I and sister shop located across the street from the Hotel, Federal Hairstylists II. The Advocate said, "The Rizzi's wouldn’t trade their trade for anything. They are just as true to the place they learned it — J.M. 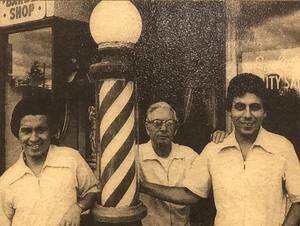 Wright Technical High School, where Anthony Rizzi graduated as a barber in 1960." Learn more about the Stamford Marriott Hotel & Spa HERE.